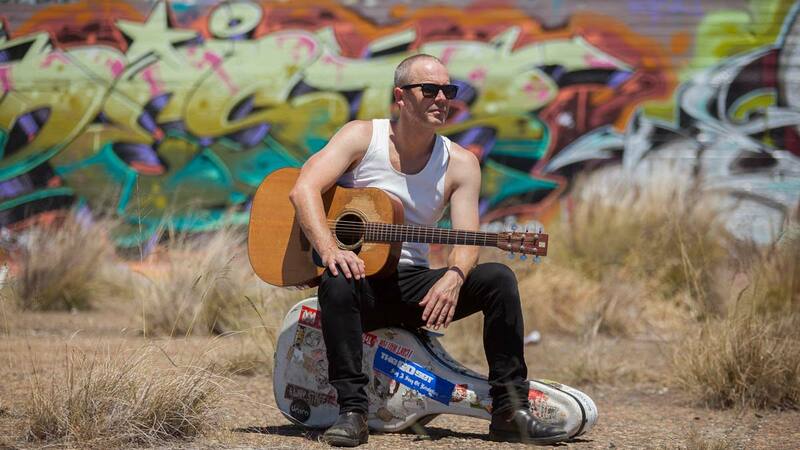 Originally making his name as part of explosion of the Australian Roots movement touring the world alongside good friends The John Butler Trio, The Waifs, Xavier Rudd and Pete Murray, troubadour Carus Thompson has shown he’s much more than “just another root’s act”. His evolution from a “good time – reggae folk-rocker” into a first class songwriter who’s songs and stories connect has not gone unnoticed. As well as his mates he’s toured with Jack Johnson, Dave Mathews and Damien Rice and performed at all the major festivals. His energetic, passionate and genuine pub-rock approach to performance, sets him apart from the majority of singer-songwriters. He has the rare skill of being able to engage an audience emotionally as well as entertain – always ensuring the crowd get out of their seats. A Carus Thompson show will always be a journey through quiet ballads, to all out folk-rockers, to some dance-floor fillers, all delivered with energy and passion. Worldwide, Carus Thompson has sold over 30,000 albums independently, one of the few truly independent Australian troubadours to have a carved a full time living from his craft. Years of touring have assured Thompson the enviable ability to draw hundreds of people anywhere he goes. His new album, the eagerly awaited ‘Island’ is Thompson’s first record in over five years and it has been incredibly well received by critics and fans alike. Produced by Eskimo Joe’s Joel Quartermain (who’s also worked with chart toppers Dustin Tebbut, Meg Mac & Dan Sultan) ‘Island’ is without a doubt Thompson’s best work yet, with the single ‘Lies’ added to daily rotation on national broadcaster Double J, as well as being play-listed on all local ABC Stations countrywide. The plaudits don’t stop there with “this is quality song writing” from respected reviewer Jeff Jenkins, the song ‘Beach Fires’ short-listed in the International Song Writing Competition and nominated for a WAM Song Of the Year award and Forté Mag saying ‘Island’ is “a welcome return from Australia’s answer to Bruce Springsteen”. Like the Boss, live is where Thompson does it best. See a show of his and you’ll understand why he’s one of this countries favourite acoustic live performers.